Four-time F1 world champion, Sebastian Vettel, started karting before he was even four. Two-time champion, Lewis Hamilton, started when he was eight. 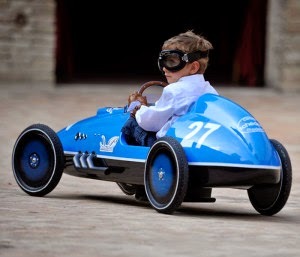 So, we deduce that to groom champion racers, you’ve got to start them young. Really young. 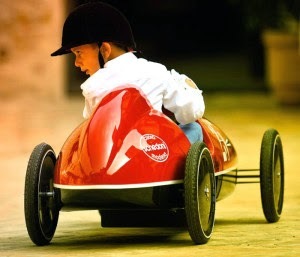 For parents who want to nudge their children thataway – and who also enjoy a bit of nostalgia – Scuderie Campari, which is the epitome of Italian craftsmanship and renowned producer of athletic protective gear, also manufactures a line of miniature pedal racecars called MIRA (for meravigliosa, which means ‘wonderful’). Inspired by the Ferrari 375 Indy, this tiny 150cm long, four-wheeled toy is made from material that are intended for…well…a higher purpose: the monocoque chassis is fashioned from carbon fibre or fibre glass (depending on the commission), the 12” disc wheels are a composite of carbon fibre and Kevlar, and the connections are made using Ergal (an aluminium alloy used in aviation, with a high strength-to-density ratio). Even the steering wheel is fancy – crafted from cherry wood and sourced from Nardi, the revered steering wheel manufacturer. There’s also an optional upholstery package: leather seats by Schedoni, which also supplies to none other than Ferrari. The idea for MIRA began when Enrico Campari, who spent some time at Scuderia Ferrari constructing F1 cars, wanted to give his son something special on his fifth birthday. Lucky boy. The first creation gained such a great reputation that it spawned an entire product line. The carbon version weighs only 8.5kg, and can very easily be propelled along by children aged between three to six, which the MIRA is intended for. 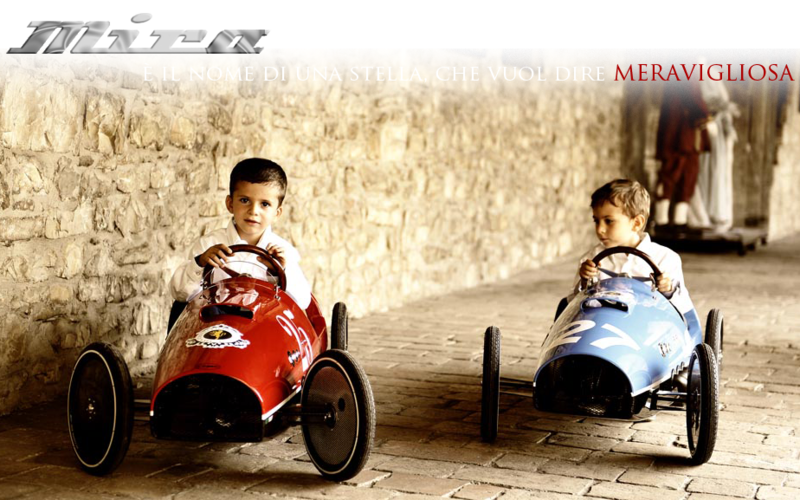 There’s even been racing events for MIRA cars held in Italy. Remember Broon’s toy supercars? They are a range of pint-sized electric cars that can be used to nurture a future petrolhead, just like daddy. Sometimes we wish we could have our childhood now, when the toys are just so cool. If you’re considering whether to get your kids one of these ‘toy cars’, here’s a video of little Vettel karting – wouldn’t it be nice to live vicariously through your children? 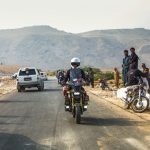 Skoda VisionSea – the worst/best April Fools joke?